A few months ago I was putting my son down for a nap when I noticed a large group of people congregating outside the fence that borders our front yard. I immediately thought there must have been an accident of some sort, so I put Noah in his bed and hurried downstairs. Reaching the front porch, I realized there was no accident, but was still confused at the number of people that continued to grow and now apparently, start to line up for a picture. As one noticed me, they all seemed to notice and turn around. I told them it was fine to take a picture, but I was amusingly perplexed at the situation unfolding. I mean, I thought the front yard was looking pretty good, but how funny to pick my house as the spot for their family photo. As I walked down the front garden pathway to the gate, two women walked out of the crowd. The first one explained that this was the house her mother, Rachel, grew up in during the 1940’s and 50’s. She was wondering if we could meet and they wanted to give me a copy of the book Rachel wrote about the wonderful childhood she experienced living here. They were all so kind – worried that I would be bothered with having all of them on my property. I was, in fact, very opposite of bothered. I was ecstatic! When we originally moved into the house on Palmetto Street, I was about 7 months pregnant, expecting our very first child. The fact that Kevin and I were even chosen to be owners was a miracle in itself. Going up against cash offers with a conventional loan, we knew the chances were slim. During the home tour with our realtor, we met the lovely April. She was one of the owners and graciously gave us another personal tour around the property. We decided to go ahead and put in our highest and best offer that night. April had several options to choose from, but we seemed to stand out from the crowd. She felt at peace with her decision to pick us because we would be creating awesome new memories with our son very soon in the house she loved so much. We will forever be grateful for that decision. After closing, we headed back to the house to start settling and nesting. During that time, I tried repeatedly to go through a folder that contained historical documents on the house. It was built in 1926, and had so much history and character that I couldn’t wait to become familiar with. Unfortunately, my acute sense of smell, fueled by pregnancy hormones, could not stand the idea of being around the mothball-scented folder. 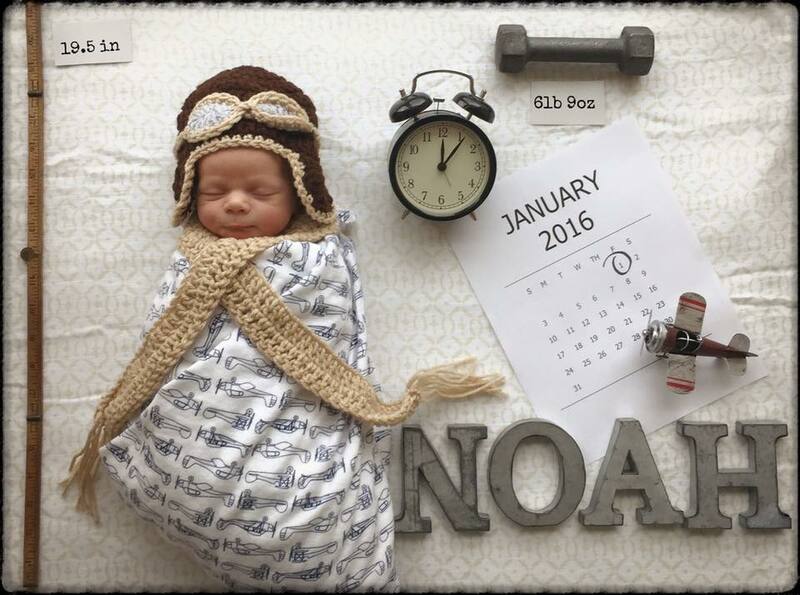 So, stored away in a safe place, it was naturally forgotten as I became a mother and the newest member of our household shifted my priorities in the direction of nursing, diaper changes and baby snuggles. When Rachel first walked up the path, I thought she was the most adorable thing ever. She was just so happy to show her family the place of wonderful childhood memories. She was also perfectly happy staying out on the porch, just soaking in the idea that she was back home. I, on the other hand, almost picked her up to carry her inside. I was sooooo excited to meet someone who lived in the house and wanted to know everything. She stayed for a short while, told some fun stories and commented on how different things looked from when she was a child. The book she wrote had more stories and original photographs of the house through the years. Because she couldn’t stay long, I promised to read the book and she promised to come back for more stories and time together. Since that first visit, Rachel has been back with her children and gave us all a complete tour. It was very special because her sister Nellie, who was in town visiting for Rachel’s 80th birthday was able to accompany her and they are both so delightful, amazing storytellers. I learned all about the chickens in the yard, how she and Noah have the same childhood bedroom and all about the church that started right in our (now) dining room. The most recent trip to the house was a few weeks ago when Rachel wanted to bring something by for us. She arrived, adorable as ever, with a Christmas bag full of gifts. While Noah decided to terrorize the living room by throwing legos everywhere, Rachel and I briefly caught up on life and went through the gift bag. Everything she shared with us was so nice, but my 2 favorite gifts were the card explaining how the family would spend Christmas here on Palmetto as well as one of the original plastic ornaments that went on their Christmas tree in this very house. Apologetically, she explained that plastic was the new “it” thing in ornaments at the time. I really wouldn’t have even known what it was made of, or cared for that matter. Its value was immediately priceless to me and is now one of the most cherished pieces on our Christmas tree. We placed it high to stay safe from little fingers. I love how it is perched on the first few branches, keeping watch over the house as it did many years before. On reading Rachel’s book, there are so many fun stories and recipes she shares from her life at the house on Palmetto. The one that stood out the most was the story of “Mother’s Tomato Cake.” Rachel’s uncle was overseas during World War II and loved his sister’s delicious tomato cake, a spice cake made with a unique ingredient – Campbell’s Tomato Soup. She would bake this cake, then carefully wrap and ship it to his location so he could have a taste of home. 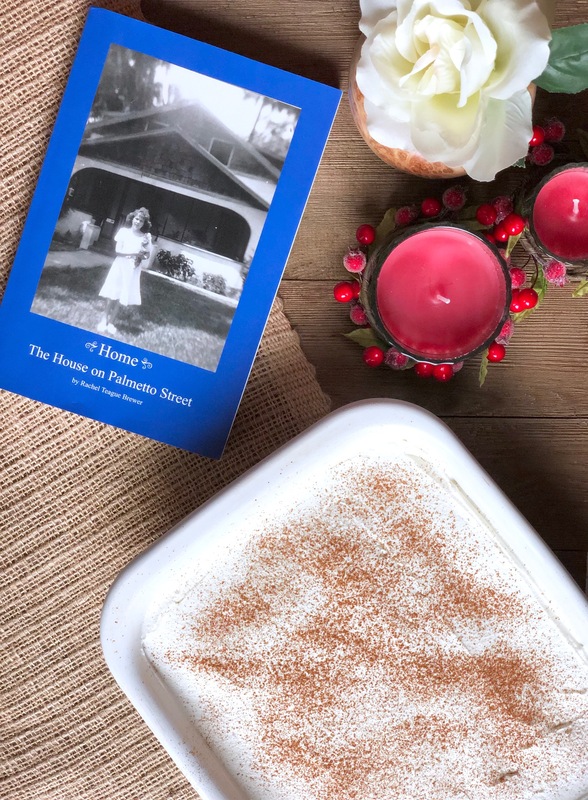 I loved everything about this story and set out to make it for Rachel’s 80th birthday as a gift and a “taste of home.” The whole idea behind the cake just radiates family and unconditional love. 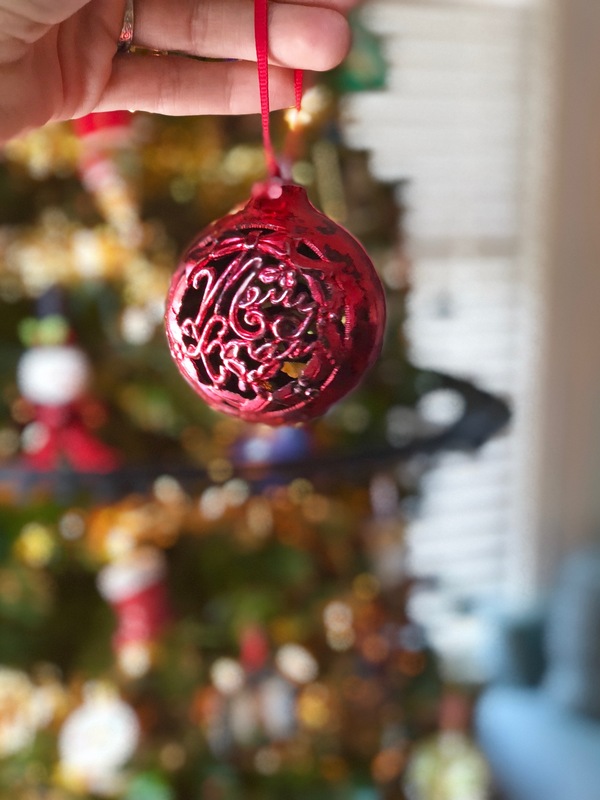 It would be the perfect addition to any holiday get together, symbolizing the years of family time spent together, or at least together in heart. 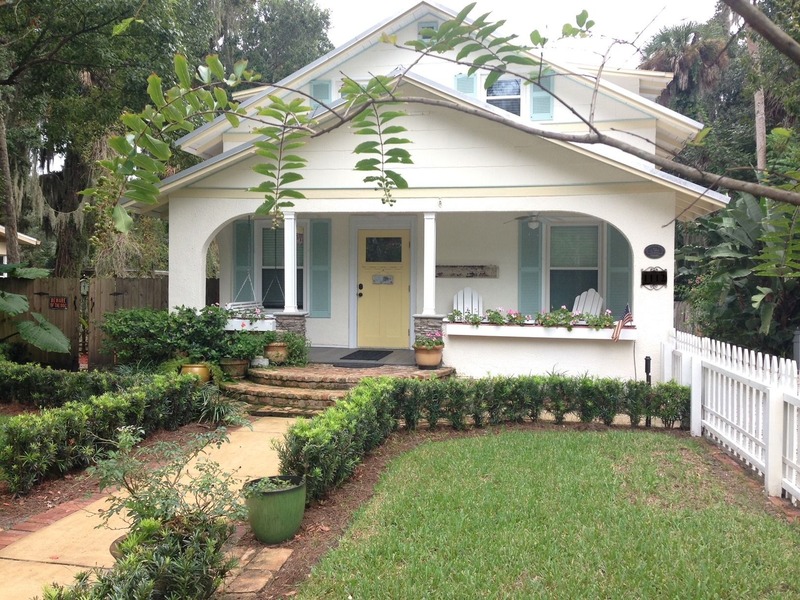 This house knows it so well, but it has become a new favorite to us. I changed a few ingredients in the cake since my first attempt, meshing a little of new and the old. This slightly updated version feels to me much like both mine and Rachel’s life in this house: adding in new memories to complement the old ones that made it the home it is today. Instead of Cambell’s soup, I chose Amy’s Organic variety without high fructose corn syrup. I changed out the pecans for walnuts because they have a high ratio of omega-3 which is great for so many things in the body. I subbed white flour for whole wheat pastry flour. I also added a nice homemade layer of organic whipped cream to help lighten up the denser style cake. Oh – and I omitted the raisins. But Rachel said the kids never liked it with raisins anyway ;) It is heavenly!! Each time Rachel comes to visit, she tells us that we have made her year perfect by being able to come back home. She doesn’t realize how much she has made ours as well. To know that we are building a life in a house that holds so many wonderful memories, laughter, and love is the best housewarming gift we could ever receive. 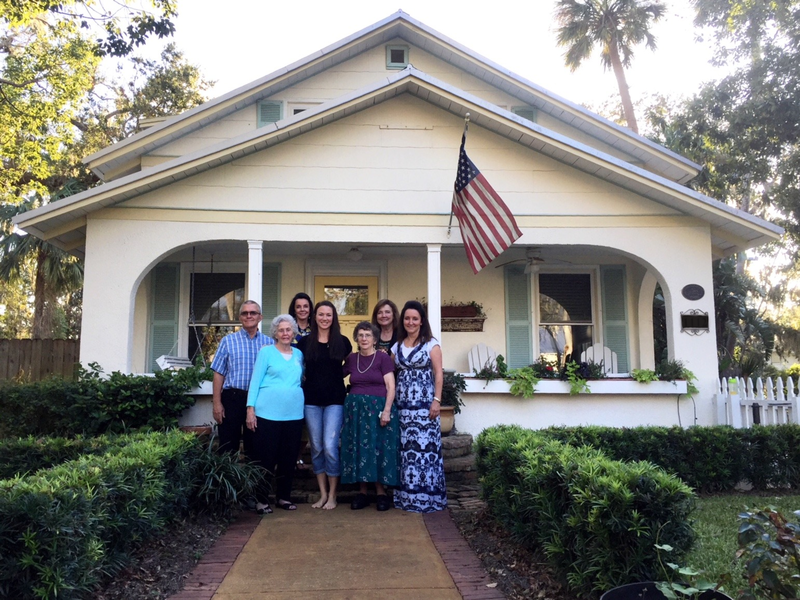 I look forward to more wonderful visits from Rachel and her family as we all spend time in this little house on Palmetto, making new memories, sharing old ones and eating tomato cake – together. To make cake: Preheat oven to 325 degrees. Cream butter and sugar together. Alternate sifting in dry ingredients and adding tomato soup. Mix in walnuts by hand and place in a greased 9 inch baking dish. Bake for 25-30 min or until cake has set in the middle and a toothpick comes out clean. Set aside and let cool completely. 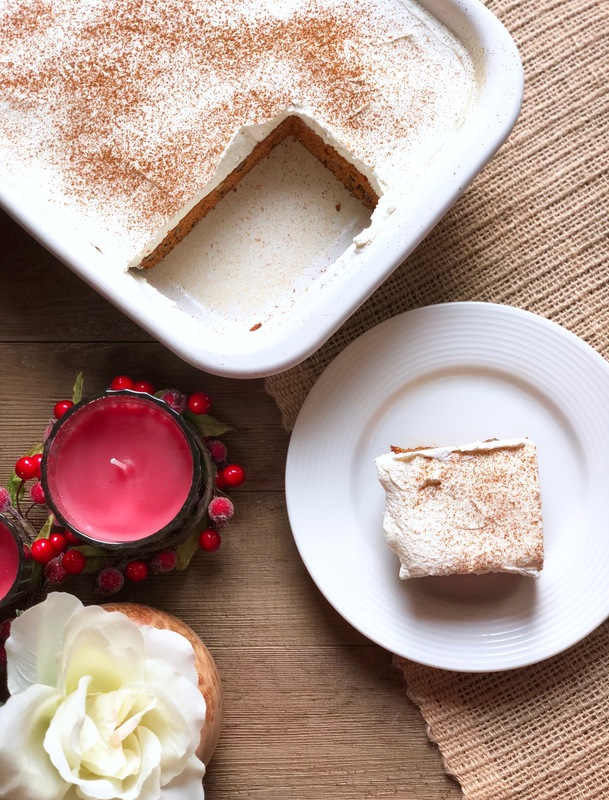 To make whipped cream: Whip heavy whipping cream, sugar and vanilla on high with beaters for 2-3 minutes or until a thick, spreadable consistency is formed. Spread over cooled cake and sprinkle with cinnamon. Serve cold and enjoy! 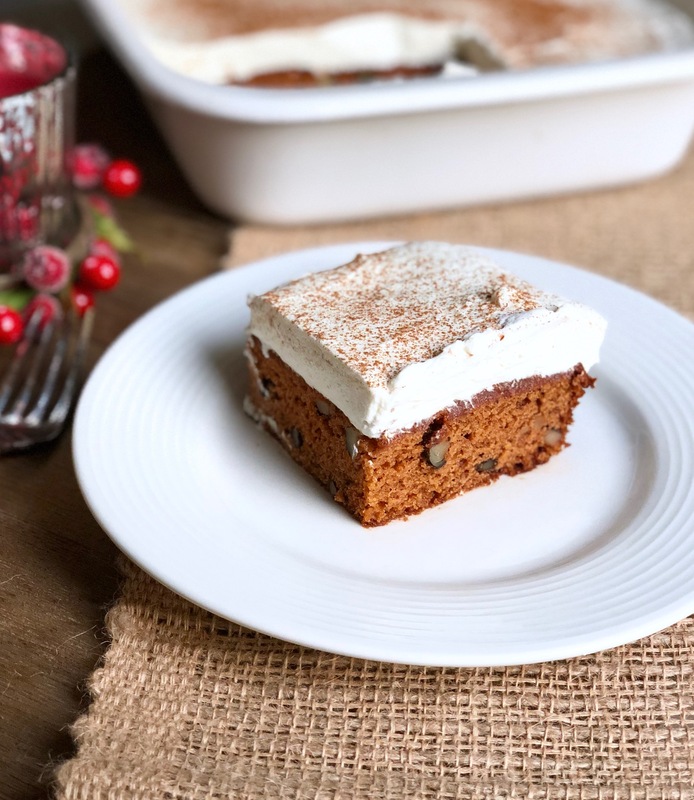 It's easy to grab the wrong tomato soup, so make sure to get cream of tomato and not the ones with large pieces or your cake might have a whole new texture going on! 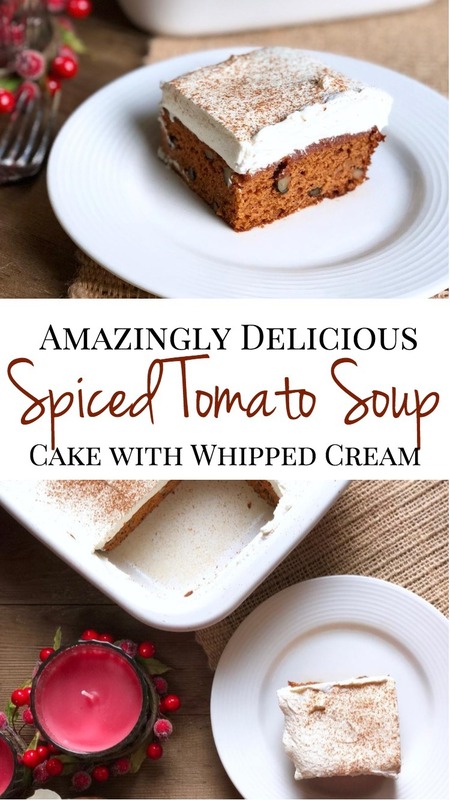 Wow I’ve never heard of tomato cake – this looks amazing. I’ll have to try it, the colour is fantastic. Thanks Angela! It’s so delicious!! I was skeptical at first but intrigued enough to want to make it for myself. It’s definitely a new favorite for us! Thank you so much Sue! We fell in love with this house the moment we saw it and still feel so blessed to live in a piece of history like this. Having a story like this makes it even more special! Wow! Such incredible memories. Love that your home has such a history. This cake looks delicious too. Don’t think I have ever tried anything quite like it. Thanks Tara! I have so much fun catching up with Rachel each time she visits. The cake is amazing too! One of those things where strange ingredients really work in a recipe! This is such a good story! I could read it over and over again! Thanks, Kristen! Even though I wrote it I keep reading it over and over too lol. It makes me smile each time! Oh thanks so much Chichi! We are hoping he grows up knowing Rachel and her family so that he can remember these special times as well. The cake ingredients are so interesting aren’t they! That was the one recipe that stood out to me because I had to see what something like that would taste like. I was pleasantly surprised and understood why Rachel’s uncle liked it so much! The cake looks amazing but the story behind it is even more impressive. From you being chosen over other offers to have that housento meeting and forming a relationship with Rachel. I always love how old homes have so much character but hearing their stories is truly special. Thanks Chelsae! I have always been intrigued by historic homes because they do have history and stories tucked deep within. I never thought in a million years ours would turn out this way but I’m so incredible thankful it did. It just makes our house that much more amazing in our eyes! Ok, tomato cake? Sounds crazy. But I guess tomato is a fruit, so – it shouldn’t be so outrageous. I love the delicious pictures. Mmmmmmmm.